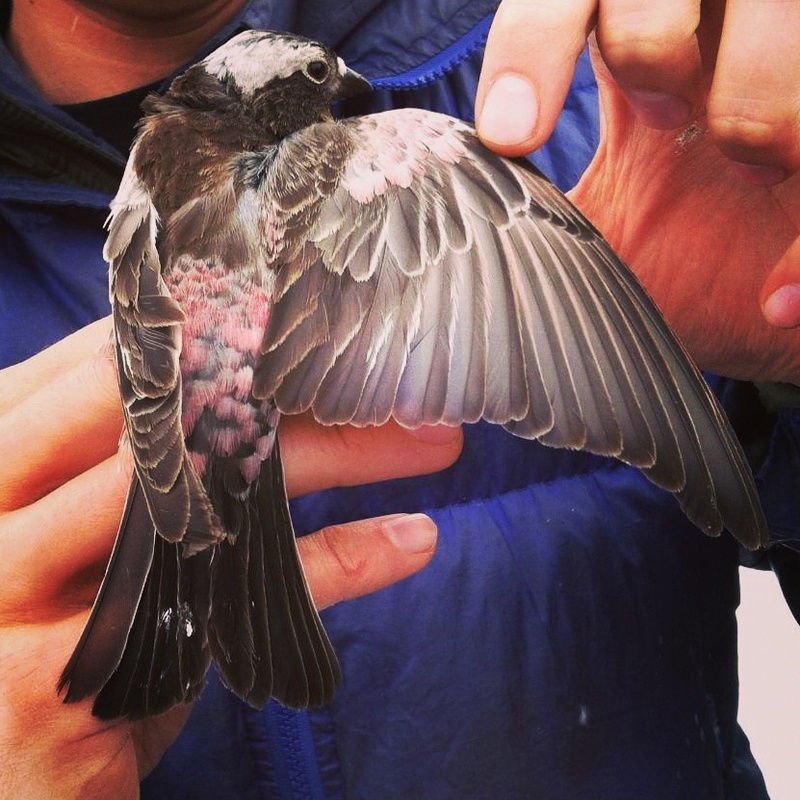 The black rosy-finch has a fairly restricted geographic range within the intermountain west, and is one of the most understudied species in North America. The black rosy-finch has been designated a Species of Greatest Conservation Need with a ranking of NSSU (Tier II) in Wyoming reflecting the lack of information available on this species. As a high elevation-obligate nester, range contraction and habitat changes resulting from warming weather trends could lead to local extirpation of the species. The primary project cooperator is the Wyoming Game and Fish Department. The study addresses conservation actions as identified in the State Wildlife Action Plan including the establishment of optimal long-term monitoring sites which could be used for tracking population trends and changes in habitat use given changing weather conditions in the alpine.